For this week’s interview, I’m very happy to welcome Greg Lord, Director Product Marketing at Smartbear Software. Stephane Castellani: Hi Greg, can you please present SmartBear Software in a few words? Greg Lord: SmartBear is the leader in software quality tools for teams. Our unique approach infuses speed and quality into our customers’ software development lifecycle. We offer tools for Code Review, API Lifecycle, Software Testing, and Monitoring across mobile, web and desktop applications, so teams can work together to create the best software on the planet, faster than ever. SmartBear is a global company headquartered in Boston (Somerville), Massachusetts, with offices in Galway, Ireland; Coconut Creek, Florida; Memphis, Tennessee; Stockholm, Sweden; Melbourne, Australia; and Tula, Russia. SmartBear was founded in 1998, and evolved considerably between 2007 and 2009 as a result of Insight Venture Partners acquiring and combining three companies under the SmartBear corporate brand – SmartBear, AutomatedQA, and Pragmatic Software. SmartBear went on to acquire Eviware in 2011, leading to API promoter and SoapUI‘s founder, Ole Lensmar, joining the company. Today Ole serves as Chief Technology Officer (CTO) of SmartBear. 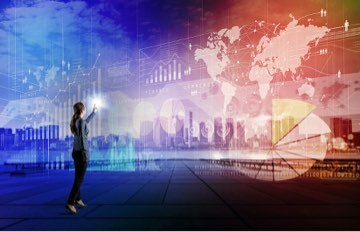 That same year, the company acquired APM vendor AlertSite, which has since evolved into a robust API Monitoring offering that integrates with SoapUI. SmartBear then acquired the open source Swagger Framework in 2015, was a founding member and currently chairs the OpenAPI Initiative, and continues to foster the Swagger open source tooling community. SmartBear has also built and launched SwaggerHub, an integrated API design and documentation platform, built for teams to drive consistency and discipline across the API development workflow, which has over 70,000 organizations adopting the commercial Swagger platform to date. In early 2017, Francisco Partners acquired a majority stake in SmartBear Software, and in the summer of 2017, SmartBear hired Christian Wright as the new EVP and General Manager of the overall API Business to lead our efforts to empower customers to innovate and capture the API Economy. 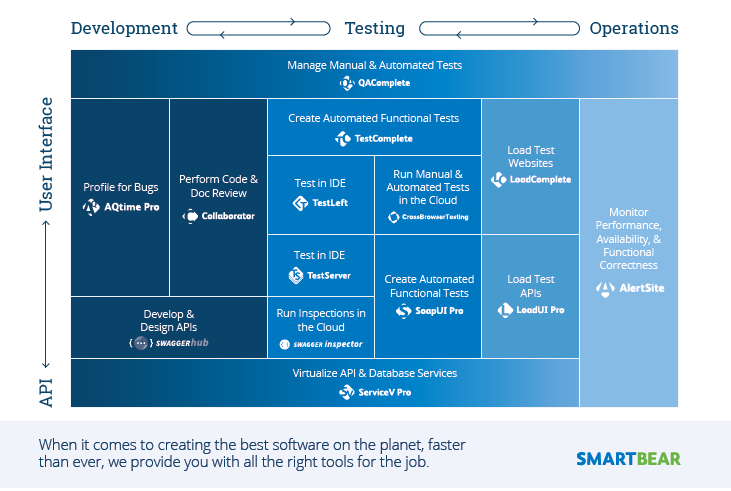 SmartBear has over 6.5 million users, in over 22,000 companies, across 194 countries that are using our tools to build, test, and deliver the best software on the planet. SC: You are offering a large variety of API-related products. Can you introduce those products to us? GL: SmartBear has been focused on the API Lifecycle market since 2011. Our strategy is based on delivering easy-to-adopt products that support the practitioner, team, and enterprise across the API Lifecycle. Our philosophy is based on the following five principles. User-Centric – Tools need to enable practitioners throughout the API development lifecycle. User-experience is at the heart of what we do because our tools must satisfy the needs of Practitioners, Teams, and the Enterprise. Frictionless – So that we provide faster time-to-value than our competitors regardless of the customer’s API development methodology. Collaborative – Across the API lifecycle ecosystem, teams and the enterprise. Balanced – Between the needs of practitioners and enterprise stakeholders. Open – Based on standards that promote portability and interoperability across ecosystems and allow practitioners to bring-their-own-tooling. SmartBear has a full API Lifecycle product line, which helps organizations build, test, and deliver the best APIs on the planet, faster. Our API Lifecycle product line is focused on three primary brands – Swagger, ReadyAPI, and AlertSite. Swagger includes SwaggerHub and Swagger open source tools for API Design and Documentation, and Swagger Inspector for quickly inspecting API calls. ReadyAPI includes SoapUI Pro and SoapUI open source for creating automated functional tests and security scans, LoadUI Pro for API load testing, and ServiceV Pro for virtualizing APIs and Database services. AlertSite is our tool for monitoring chained API transactions. What makes these API Lifecycle products so powerful for our users is that they are all tightly integrated, so teams can seamlessly re-use assets throughout the API Lifecycle to speed development and delivery. In addition, our investment and commitment to open source standards and tooling demonstrates our belief that a standards-based approach to API development that facilitates openness and reusability across the API Lifecycle is critical, and therefore we have invested heavily in building seamless integrations with the leading API Gateway providers to provide our customers with maximum flexibility and choice to adopt the tools that best fit their needs. SC: You initially offered “Software testing” products. How did you come to the idea of creating “API testing” products? GL: As a software quality company, creating a world-class API Lifecycle business was a logical extension of our software testing business. Software development teams focusing on building modern applications need to ensure quality across all layers of the application, including the APIs that power modern applications. Ensuring that APIs function correctly according to the established contract between API providers and consumers is critical, and API teams need the right tooling to make this happen. Given our background in software quality, we believe our tools bring a unique set of capabilities to teams looking to accelerate development and delivery while also improving the quality of their APIs. SC: Which channels do you sell your product through? Online, via sales teams, via partners? GL: Our primary motion for connecting prospective users and teams with SmartBear API Lifecycle tools is through our inbound marketing channels. SmartBear’s API tools record close to 1 million visitors on a monthly basis, and we focus on delivering a consistent stream of quality content relating to different API Lifecycle functions across different industries and architectures, so teams can solve their most critical API challenges. SC: What’s your pricing model? GL: SmartBear offers a broad array of products across our API Lifecycle product line, and our pricing model varies by product based on the deployment and usage model. In general, we strive to provide straight-forward, affordable pricing models, and all our products are supported by a free try-before-you-buy model, and include training, support, and a dedicated customer success manager. SC: You acquired Swagger.io in 2015, can you tell us more about this acquisition? GL: Swagger is one of the most popular open source projects of all time, and it was a once-in-a-generation opportunity to bring Swagger into the SmartBear family back in 2015 – so we couldn’t pass it up. Since the acquisition, we have donated the Swagger specification (now known as the OpenAPI Specification) to the Linux foundation, were a founding member the OpenAPI Initiative, chair the OpenAPI Initiative, and we continue to steward the Swagger open source tooling community. We have also built SwaggerHub, the Integrated API design and documentation platform, built for teams to drive consistency and discipline across the API development workflow, which is a commercial SaaS offering. Bringing Swagger into the SmartBear family, and our leadership roles as a part of the Open API Initiative (OAI) and the OAS3.0 Standard have reinforced our commitment to open source. The original SmartBear Swagger 2.0 Standard was already the most widely adopted open API standard available in the market. By moving to the OAS3.0 specification under the Linux foundation and further soliciting the engagement of market leaders in all segments to contribute to the standard we will facilitate even greater adoption of the new standard. We fundamentally believe that standards, open-standards in particular, are critical to the rapid growth and evolution we currently see and the future we expect based on the API-economy. The popularity of Swagger tooling continues to grow by the day, and we have exciting plans in store for Swagger moving forward as we continue to help teams capitalize on the API Economy opportunity. SC: Can you share with us your corporate presentation video? SC: Are there any other topics you would like our audience to be aware of about your company? GL: We were very proud to have recently just hosted our first annual user conference, SmartBear Connect, on September 12-13, 2017 in Boston. The very successful event comprised two days filled with product training, user stories, and best practices across five tracks and 33 speakers. The event brought together SmartBear customers and users, developers, testers, analysts, and visionaries from around the world. Previous articleHow and why should you optimize the performance of mobile APIs?